Joyous feast! С праздником! Today we celebrate the memory of our Holy Father Nicholas the Equal-to-the-Apostles and Enlightener of Japan. Born to a deacon in what today is western Russia in 1836, the future missionary pursued theological studies that eventually took him to the St. Petersburg Theological Academy, where he was tonsured a monk and ordained to the priesthood at the age of twenty-four. Not long after his ordination in 1860 Hieromonk Nicholas was assigned, per his request, to serve at the Russian consulate in the Japanese city of Khakodate. He went to Japan with the desire to convert its people to Orthodoxy, but made little headway his first eight years in the country as he learned the Japanese language and studied Japanese culture. In those eight years only twelve Japanese were converted to Orthodoxy. Nevertheless, due in part to a report to the Holy Synod submitted by Fr. Nicholas in 1869 a Russian Orthodox ecclesiastical mission to Japan was organized under his leadership. Not long after the organization of the mission and his elevation to the rank of archimandrite Fr. Nicholas moved from Khakodate to Tokyo, where in 1873 he established a church and ecclesiastical school that was upgraded five years later to become a seminary. 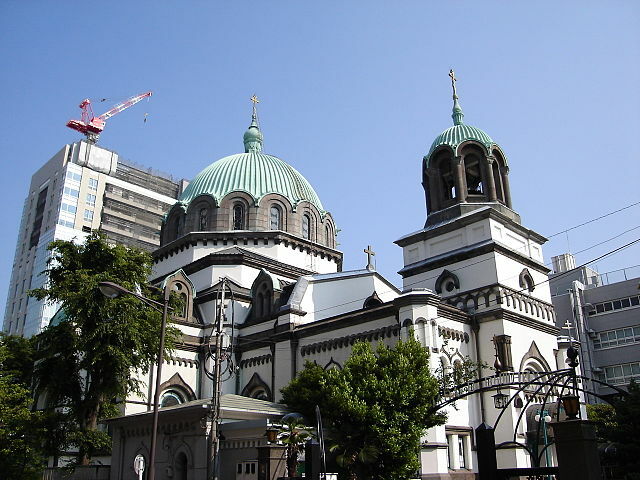 Both the Tokyo and Khakodate parishes established multiple schools, whilst the ordination of native Japanese Orthodox to the priesthood in 1874 gave added impetus to the growth of the Orthodox Church in Japan, which by 1878 had over 4,000 members. The results of Fr. Nicholas' missionary labors led to his consecration to the episcopacy in 1880 at St. Alexander of the Neva's Lavra in St. Petersburg, after which he returned to Japan to continue his ministry there as head of the ecclesiastical mission to the country. Under his guidance the Cathedral of the Resurrection (commonly known as the Nikolai-do or 'House of Nicholas') was built in Tokyo while the work of translating the services and Orthodox theological works into Japanese continued. Although significantly effected by the Russo-Japanese War the Church's mission in Japan continued, and after the war Bishop Nicholas was elevated to the rank of archbishop. Archbishop Nicholas fell asleep on this day in 1912 after 51 years of service in Japan. By the time of his death the Japanese Orthodox Church included some 266 parishes and missions with approximately 35,000 members. 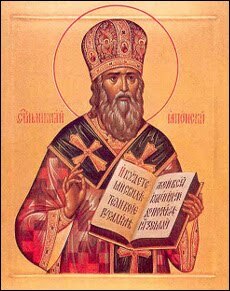 Fifty-eight years later the Holy Synod of the Russian Orthodox Church glorified Archbishop Nicholas as a saint, recognizing him as an equal to the apostles because of his labors in Japan. More on St. Nicholas' life can be found here and here. May his blessing and prayers be with us all!